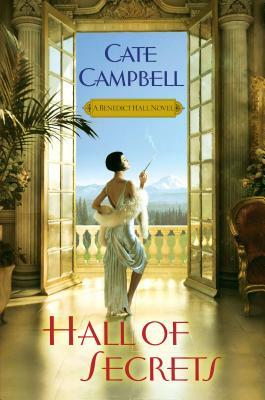 In Cate Campbell's sumptuously detailed, page-turning series set in 1920s Seattle, the once-secure lifestyle of the wealthy Benedict family--and their household staff--must contend with the radical, roaring Jazz Age. . .
For generations, the Benedicts have been one of Seattle's most distinguished families, residing in the splendid Queen Anne mansion known as Benedict Hall amid a host of loyal servants. But the dawn of the 1920s and the aftermath of the Great War have brought dramatic social conflict. Never has this been more apparent than when daughter Margot's thoroughly modern young cousin, Allison, comes to stay. But Margot is also shocking many of Seattle's genteel citizens, and her engineer beau, by advocating birth control in her medical practice. For amid a tangle of blackmail, manipulation, and old enmities, the Benedicts stand to lose more than money--they may forfeit the very position and reputation that is their only tether to a rapidly changing world. Cate Campbell is a writer living in the Pacific Northwest. She has worked in more jobs than she can count–as a teacher, an office nurse, a waitress, a nanny, a secretary, a saleswoman, and a singer. The great mansions of Seattle, many built around the turn of the 20th century, along with her lifelong fascination with medicine, history, Seattle, and the stunning cultural and social changes that marked the decade of the 1920s are her inspirations for Benedict Hall. The career of her father, a dedicated physician and a war veteran, served as a model for both Margot Benedict and Frank Parrish.